Just last month I wrote about the biggest ever investment in co-living after The Medici Group announced that it received a €1 billion dollar investment from the publicly traded investment corporation Corestate. This cash infusion was fueling the construction of 35 locations totaling 6,000 bedrooms that were set to come on-line in the next five years. Now the co-living brand, called Quarters, and the W5 Group have jointly agreed to invest $300 million over the next three years, developing 1,300 units across the U.S. 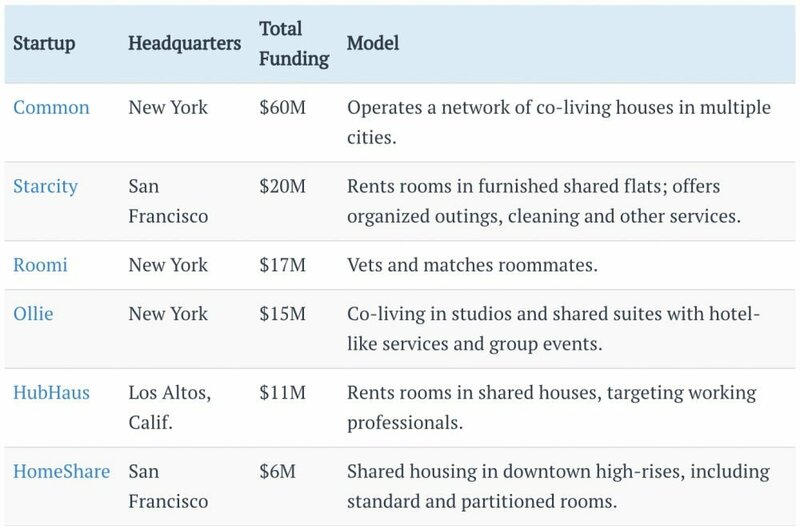 There are other co-living startups that have a head start here in the U.S. but, at least as of May last year, Quarters will have more deployable investment capital than all of its other major competitors combined. Editors note: since the time of publication we have been informed that Bungalow has raised $64 million, putting it at the top of this list. The Medici Group already operates co-living facilities in the U.S. so they are armed with the power of market insight. Gunther told me that their co-living buildings has a historical 96% occupancy rate and often have a waitlist to get in. He told me, “We believe the potential for co-living in the U.S. is enormous because we are transforming the process of finding a home for millennials by streamlining the process and offering a community.” Giving younger demographics something that they have not had the privilege of in the last decade, affordable living options, well-connected communities and the ability to shop for housing online seems like a pretty easy sell. Three hundred million dollars is a lot of money, but small in comparison to the size of the total rental market in the U.S. While this alone might not be enough to make co-living a “significant” piece of the housing landscape, it could be the catalyst for a demand shift towards these types of flexible living arrangements. As more people come into contact with useful innovations, there is often a snowball effect on demand. When combined with a housing shortage in most major metro area in the U.S., this could lead to more investment in the co-living space. Culturally, too, there will likely be more of an acceptance of the idea of co-living. Once we start seeing situational television comedies featuring the antics of a group living in a co-living environment we will really know that the concept has become mainstream.